Tonight I defrosted some large chicken breasts which I know to be rather dry so I came up with the following recipe. Note that there are no exact measure as I just don’t cook that way, all depends on personal taste and what you have on hand. 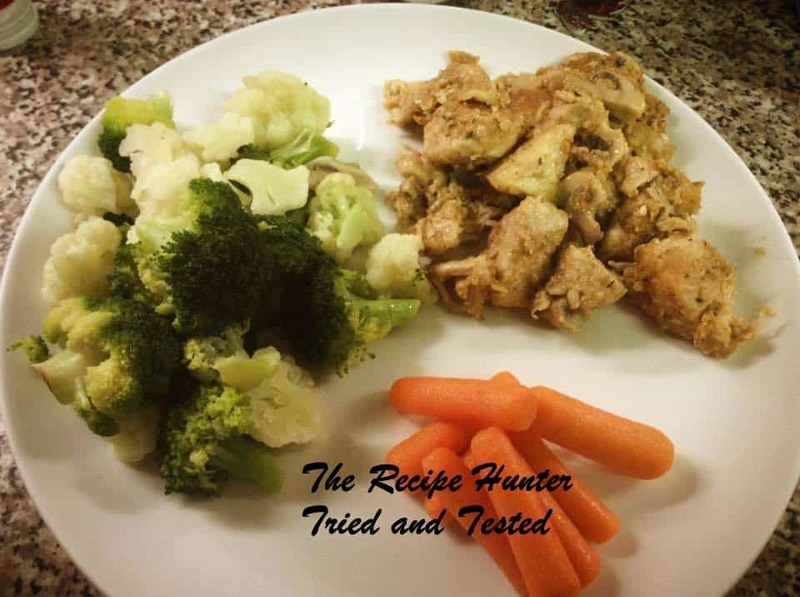 – Cut deboned chicken breasts into large bite-size pieces. – Roll chicken pieces in batches in the spiced flour. – Pour over some olive oil for flavour. – Reduce heat and fry till almost cooked through. Keep scraping the bottom of the pan to get all the sticky, spicy goodness in your dish. – Cook till mushrooms are tender and serve.